The Lay of the Land...Backgrounder on Spanish Wine Regions. 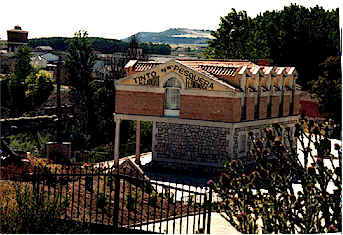 Pesquera is the name of the town where you'll find this fabulous, famous winery. We met Alejandro Fernandez back in the late 1970s, tasting an extraordinary Spanish wine of his "Pesquera" label. Prior to this, the most extraordinary Spanish wines were produced by the storied Vega Sicilia winery as well as the Torres family in the Pened�s region on Spain's east coast. I'd tasted Vega Sicilia and wondered why people got so excited over nail-polish remover costing more than a hundred dollars a bottle. Torres made a superb wine called "Gran Coronas Black Label" for which they seem to have lost the recipe (imagine: their 1970 aced out Chateau Latour 1970 in a prestigious tasting in France which they still talk about today and yet they've drastically changed the style of the wine). Along came Fernandez and his unheralded wine called Pesquera. Here was a guy who was not a "spring chicken" who was starting to make wine of an extraordinary character. I read that Alejandro was a carpenter and a bit of a tinkerer, designing and manufacturing some sort of beet-harvesting machine. This fellow seemed surprised at being received by the people he was visiting with such warmth and admiration. I'd be surprised if the beet farmers around Spain were quite as adoring as wine drinkers who had discovered his amazing nectar! Early vintages of Pesquera were phenomenal. Quite different from the wine made by their competitors at Vega Sicilia, Pesquera was dark in color, rich in ripe fruit and lavishly-oaked. Despite the obvious use of significant percentages of new barrels, the wines were not "woody" tasting. Here was "modern" wine. Modern by the standards set by the Vega Sicilia neighbors who left wine for a decade in a barrel. 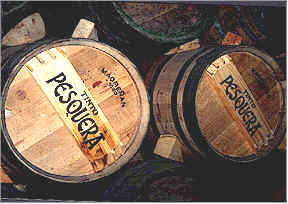 Pesquera was left for 18-24 months in barrel, much like Bordeaux or top Napa Cabernets. Recent vintages have been good, but either our taste buds have changed or competing wineries are making wines in a similar quality neighborhood so that Pesquera doesn't run away from the field in blind-tasting comparisons. I suspect the fabulous increase in the quality level of so many wines from around Spain has something to do with this impression. 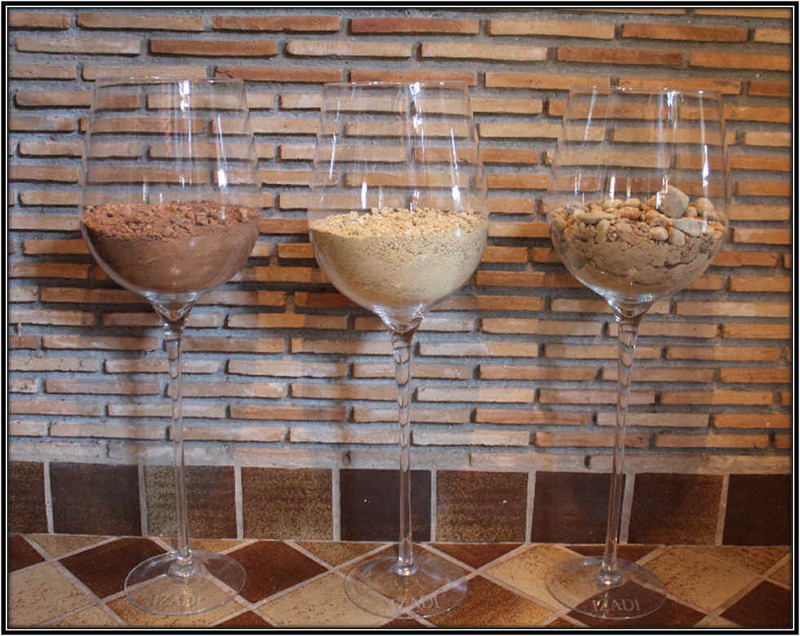 Special bottlings are offered from time to time, Reserva, Grande Reserva and Janus. These seem to be much in demand around the world, as collectors have read enough favorable reviews from just about every eno-scribe on the planet. Combine that demand with the requests from top restaurants within Spain and you can understand why Pesquera is now a rare bottle of wine. Fernandez also owns another property which is called Condado de Haza. This comes from a stretch of land along the Duero river which is south-facing. This wine is usually a shade lighter than Pesquera, but often equally interesting. The top wine of the estate is called Alenza, a combination of ALEjandro and EsperaNZA, his wife. 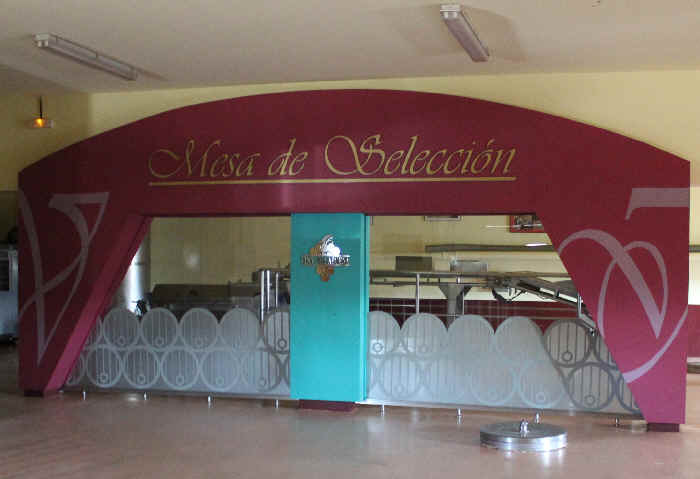 The first Condado de Haza wines were made at Pesquera, but now there is a separate winemaking facility to process the fruit from the hundreds of acres of Tempranillo at this estate. Joaquin Rebolledo was an attorney, but he had been bitten by the wine bug along the road to being a lawyer. He decided to take care of some old vineyard parcels at his family's estate and he grafted their old vines over to the Godello grape for the white wine and Menc�a for the red. The property is in A R�a de Valdeorras and it's at a fairly high elevation, so they have a good swing between warm daytime temperatures and cool nights. This allows the fruit to retain a good level of natural acidity and it gives the wine some "snap." They're a couple of hours drive southeast of Santiago de Compostela and you'll need 4 hours, or so, to get there driving west from the Rioja region. It's a bit isolated, for sure. Now, 30 years later, the winery is famed for both and he is a bit of an ambassador for Godello, as that grape was not widely-planted. Many vineyards had been ripped out in favor of Palomino, a grape yielding a larger crop. Only with the Bodegas Godeval promoting Godello did the variety make its comeback. Rebolledo's Godello garnered attention for the grape, the region and, of course, the his winery when it won some prize at a prominent Spanish wine judging competition. The Godello we have in the shop is a winner. Dry and fairly crisp, it's got a streak of minerality in the middle of its peachy sort of fruit with a vague hint of lime, perhaps. This is a good seafood white and works well as a cocktail wine to set up a nice red. If you want to buy a bottle of a big Spanish red that will impress the most hard-core Napa Cabernet fancier or someone who thinks Bordeaux is the center of the Universe, then perhaps a bottle of Aalto is in order. Aalto, at least alphabetically, is perhaps the first wine in the Spanish wine world. 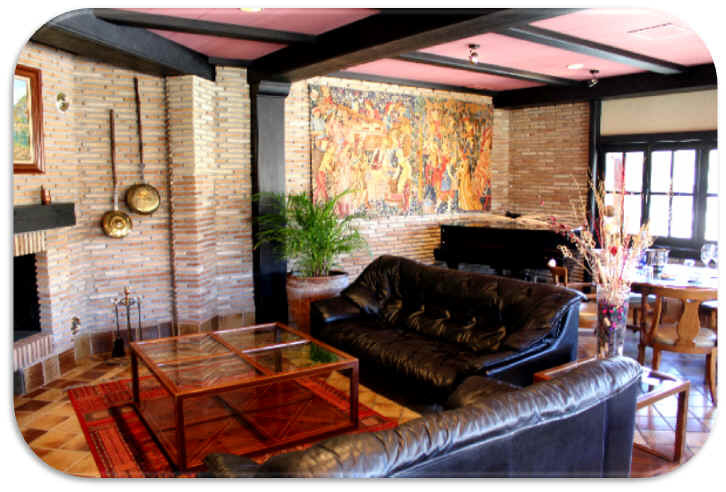 It's the property of two famous Spanish wine personalities. One is Mariano Garcia who was the winemaker for many years at Vega Sicilia. The other fellow is Javier Zaccagnini who was the head of the Ribera del Duero wine growers association. They own 32 hectares of vineyards in several sites in Ribera del Duero and most of the vines are in the "old vine" category. In fact, the vines range from 40 years old on the youthful end of the spectrum and 100 years on the other. We understand this comes from 7 different vineyard sites and the vines are considered to be farmed "sustainably." It's made entirely of Tempranillo and the wine spends close to two years in both French and American oak cooperage. It's one of the more showy bottles of wine you can offer your guests. In fact, a regular customer was buying his usual case of "good value" wines and asked if I could pick something for him to bring to a fancy, high-end restaurant. They were guests of a big-spender. I looked at the wine list of the restaurant to be sure the wine was not on the list...told him to set it up with a bubbly or non-oaked white and serve it before the host's red selection. A few days later I received a wonderful e-mail thanking me for the suggestion and that everyone was "wowed" by the wine. We suggest pairing this with grilled steak or lamb...it's almost too big for Paella, but we did enjoy a bottle of the 2011 with a Paella at San Francisco's Contigo restaurant. Our only issue was we should have chilled the wine a bit more, as it was a warm evening and this high-octane bottling showed its muscle. We enjoyed it, in any case! A bottle of the 2014 was paired with Duck Confit at the Basque Cultural Center, not too far from the shop, and this was a winner. This snappy Spanish white wine comes to us from a smallish estate in the Rueda region, a place where Verdejo is King and we might say Sauvignon Blanc is a Prince. This winery and its estate vineyards are located about an hour and a half drive north and slightly west of Madrid. It's a half hour drive from Segovia (if you have any idea where that town is). And it you find yourself in Spain's Rioja region, you'll need 3, or so, hours of driving westward to get to this place. Vi�edos de Nieva has 56 hectares of vineyards, 50 of them devoted to the Verdejo grape. With an elevation of about 850 meters, there's a pretty good swing from hot summer days to cool summer night temperatures, ideal conditions for these white grape varieties. Within the estate they own some seriously venerable vines, plants said to be more than a hundred years old and still producing fruit. Sure, it's a small quantity, but it makes for good wine. We've known this producer for many years...I think we had some wine from them 15 or 20 years ago! It's one of those brands that comes and goes, for some reason. They don't stick with an importer for very long. But they're here with the 2015 vintage and this is a cool, snappy dry white made entirely of Verdejo. About 20% of the vines for this wine are old bush vines or what we call "head pruned" here in California. The other 80% of their vineyards are trellised, so they get good exposure to sunshine and can ripen a slightly larger crop. Some of the juice has skin contact, but this is no "orange wine." It's clean as a whistle and fit as a fiddle. Blanco Nieva is an ideal cocktail white, but we've enjoyed it with some seafood tapas. Winner! It also pairs well with shellfish or a simple rex sole/sand-dabs course. Winner, again! The Rey Santo wine comes from a winery owned by Javier Sanz in Spain's Rueda region. Everyone in the Rueda area is named Sanz, apparently. It's a national law, as we understand it. 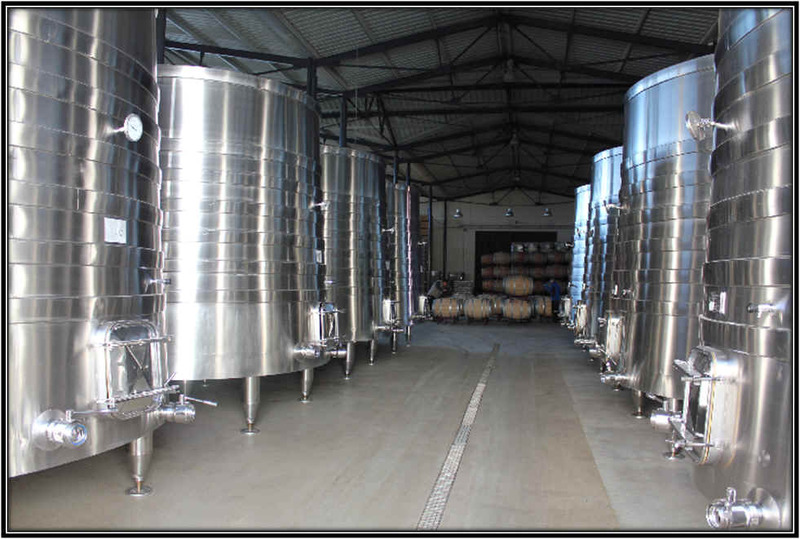 They have their own vineyards and the grapes are mechanically harvested at night when the temperatures are low...the fruit is processed and the juice is fermented in stainless steel tanks under refrigeration to retain as much of the citrusy, herbal character as possible. The resulting wine is an ideal aperitif or it can be paired with seafood...quite good! And it's well-priced, too. 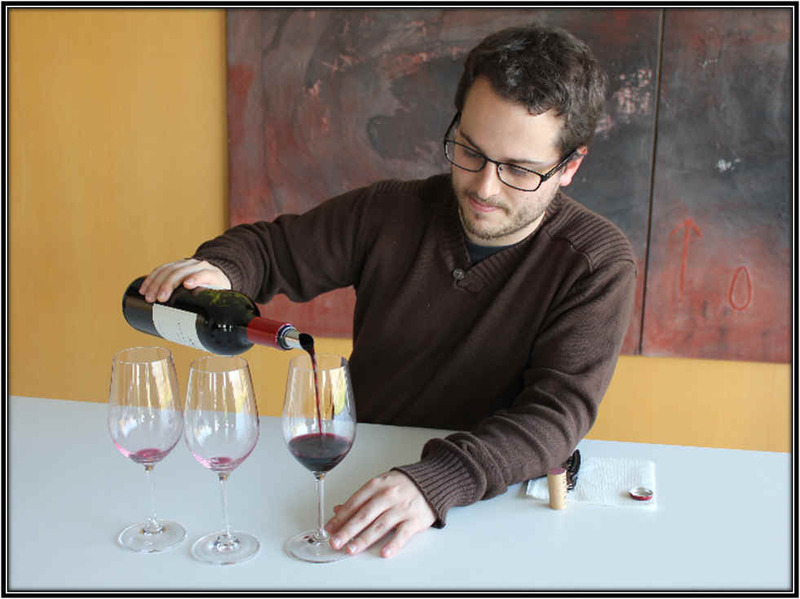 Juan Carlos L�pez de Lacalle studied enology and after getting a degree in winemaking he got one in agricultural engineering. Initially the winery produced merely "wine," with no aspiration to make something especially important. This was the sort of beverage saleable to the locals who wanted good, inexpensive, simply drinkable wine. But Juan Carlos realized why their wine was superior to those being produced by the neighbors: their vineyards were superior. Okay, these days it's not a surprise to learn better vineyards produce better wines, but for many folks in the 1970s and 1980s, the focus was often on the cellar and technology. Lopez de Lacalle then hired a talented enologist and the tag team of a fussy and demanding vineyard manager with an energetic and perfectionist winemaker started to bring critical acclaim to the winery. 1. They're from the Rioja Alavesa region, a higher elevation area where the wines tend to be a shade lighter in body than other regions in Rioja. 2. You won't find the normal sort of 'classification' of wines here, so there is not a "Reserva" or "Gran Reserva" wine...they prefer to focus on the vineyard sites as providing the various 'levels' of quality. The fermentation room at Artadi is simple, clean and functional. Of course, they have quite a few small barricas. We have the 2009 vintage of their Vinas de Gain wine...it's made entirely of Tempranillo grown around the town of Laguardia at a fairly high elevation, nearly 1900 feet. The vineyards are at least 25 years of age and the grapes are hand harvested and then inspected at a sorting table. They do a cold-soak maceration before initiating the fermentation. Once the wine is dry, it goes into smallish French oak. The barrels are of light-medium toast level, though none of the wood is new. Still, I find a nice fruit character and a touch of toasty, cedary oak. It's certainly not as oaky as most of the Reserva Riojas in the shop...We don't view this as a wine for long-term cellaring. It's showing well now and ought to hold up nicely for another five to ten years. They have a nice, modern, airy tasting room. 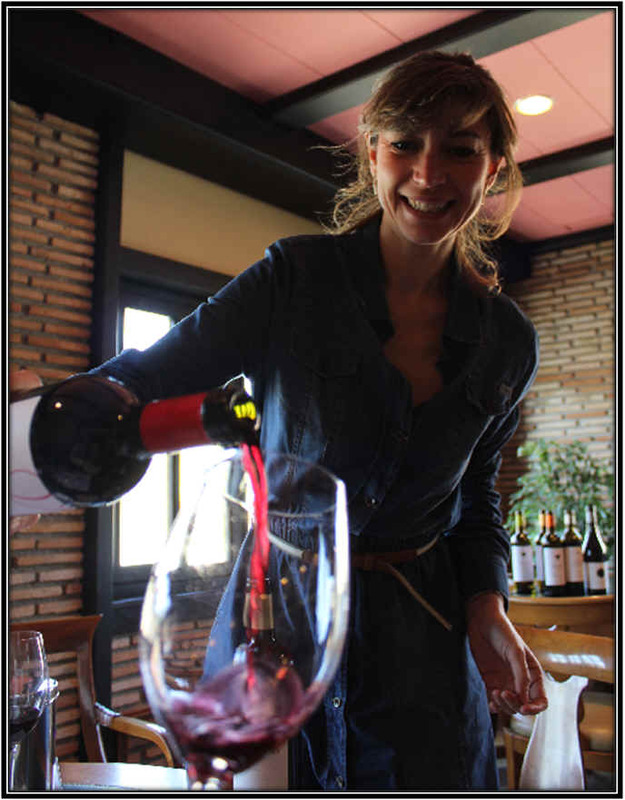 This winery is a relatively new project and it's operated by Fernando Gonz�lez and his wife, Ana Perez. They're about 5 hours west of Rioja, for example and 40 minutes southeast of Santiago de Campostela. 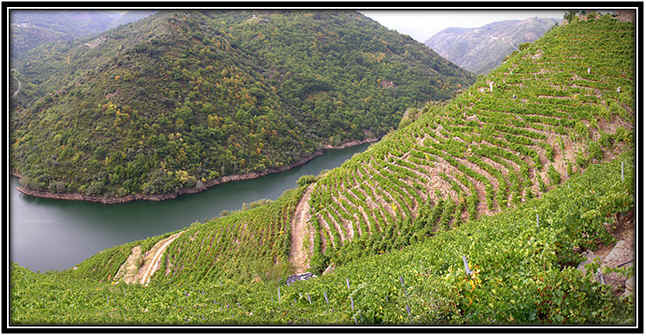 This is in the Ribeira Sacra region where Mencia and Godello are prominent grape varieties. The vineyard sites are on fairly steep hills and they've been painstakingly terraced to accommodate grape cultivation. We've tasted a wine called Carravel...it's the 2009 vintage and what a remarkable bottle this is! If you're a fan of Moric Blaufrankisch from Austria, good Barolo from Piemonte or Pinot Noirs from France's Burgundy region, you ought to put a bottle of this on the dinner table! 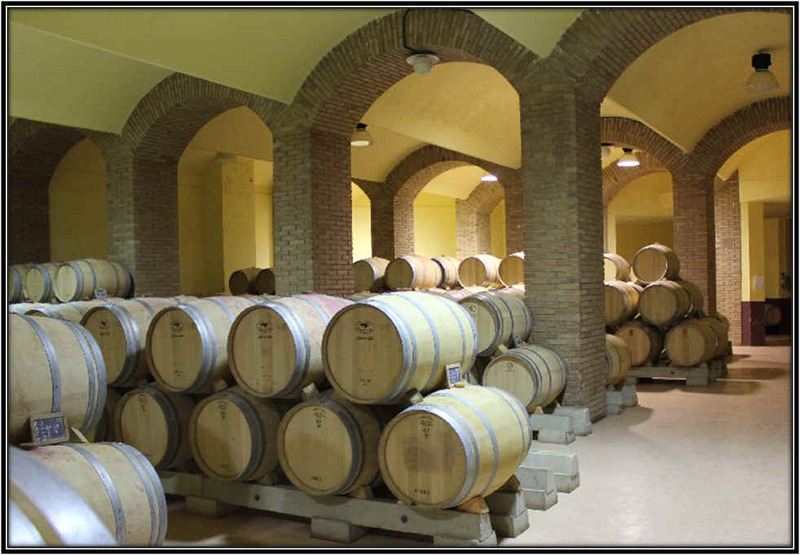 It's made entirely of the Menc�a grape and the wine is fermented in tank before spending a year in French oak cooperage. It's bigger than a Barolo and Pinot Noir...the color is more intense and yet there's something soulful about this wine which reminds us of those favorite Piemontese and Burgundian red wines. There's some dark fruit note, mild tannins and a hint of cedary/woodsy tones. We like it now, but expect it can be cellared for a few more years with expectations of it developing a bit more depth (and it's not lacking presently!). This is one of the finest versions of the Menc�a grape we've tasted. BODEGAS ARAGONESAS "COTO DE HAYAS"
If you're in the wonderful city of Logro�o in Rioja, you'd find this winery a bit more than an hour's drive southeast. From Madrid, you'll need a bit more than 3 hours in the car, driving northeast. It's a large winery, situated in the middle of Garnacha Country. You'd be in Aragon, Spain in the province of Zaragoza. And there's a lot of Garnacha planted there. More recently, though, growers have been planting Syrah, Cabernet, Chardonnay and Merlot. But we identify the region as a good source of Garnacha. We have, por ejemplo, the Borsao Garnacha in the shop...a great Beaujolais-styled red. The same winery makes a delightful blended red with Garnacha as the base and then having some Syrah and Cabernet so it resembles more costly California wines. Well, this wine is very different from the Borsao bottlings. They call this "Centenaria" because the vines are said to be around a hundred years old. 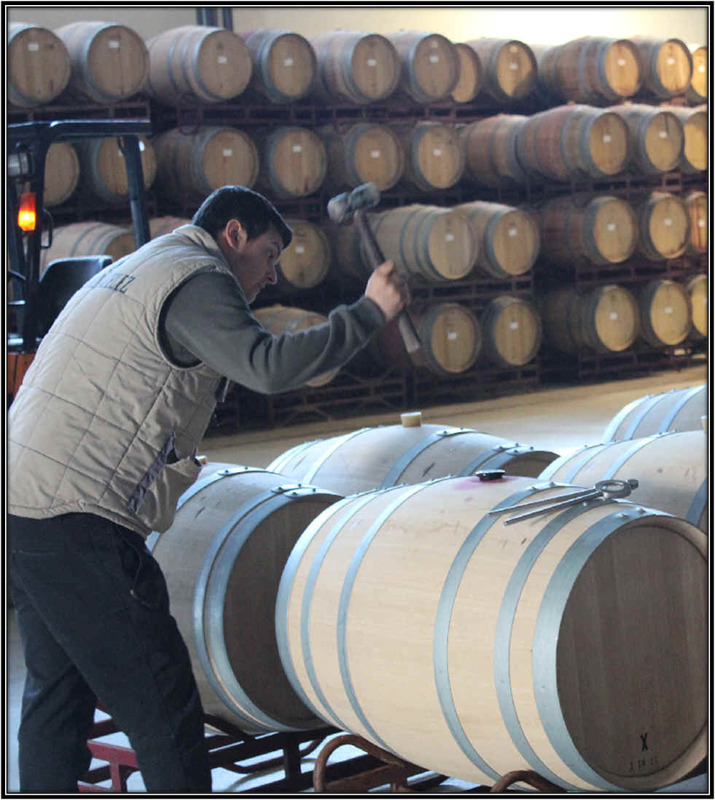 The wine, following its primary fermentation, is put in small, new French oak barrels where it spends about 4 months. The wood is pretty well integrated with the wine...and well like the faintly earthy tones here. Medium-full bodied, it's a really good bottle of wine. Our colleague John was a bit shocked to learn this wine costs all of sixteen bucks. "That's all? Are you sure?" he asked. And so he bought one to put on his own dinner table the first day this was in the shop! This enterprise has but a few decades of history, but the story is still interesting. It's centers on Gonzalo Ant�n. who had connections in the world of Spanish gastronomy and he and some friends has great designs on making wine for friends and family. 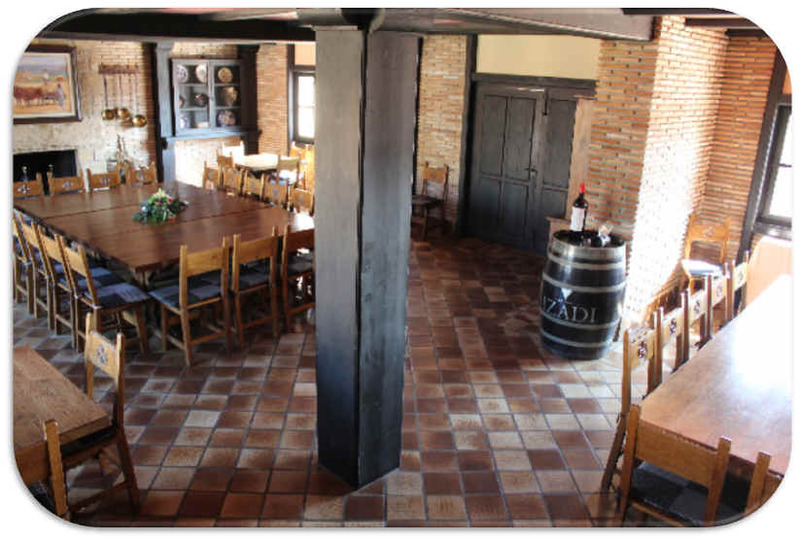 They chose the name "Izadi" for the winery, a Basque term for "nature." His family already had vineyards, so it wasn't a huge leap to get into making their own wines. They built a nice little cellar in the town of Villabuena de Alava in 1987 and soon things took off. Gonzalo knew a lot of folks in the hotel and restaurant business around Spain, so they were curious to see if the old fellow knew how to make wine or if he was out of his mind. Well, the early vintages were pretty good and soon the Izadi label was hip and fashionable. The winery grew and soon they even expanded to making wines in other regions of Spain! 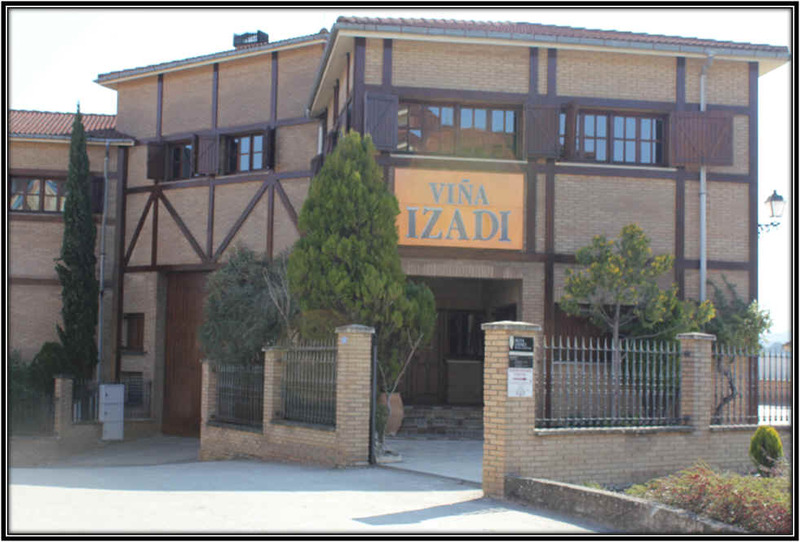 If you visit the Izadi digs in Rioja, you'll find it to be as comfortable as a friend's living room! It's clear the place was built with the idea of hospitality and having friends, family and maybe customers come to eat and drink. They have a sorting table in the winery, so when the grapes arrive, they pick through them, discarding anything that's not in perfect condition. 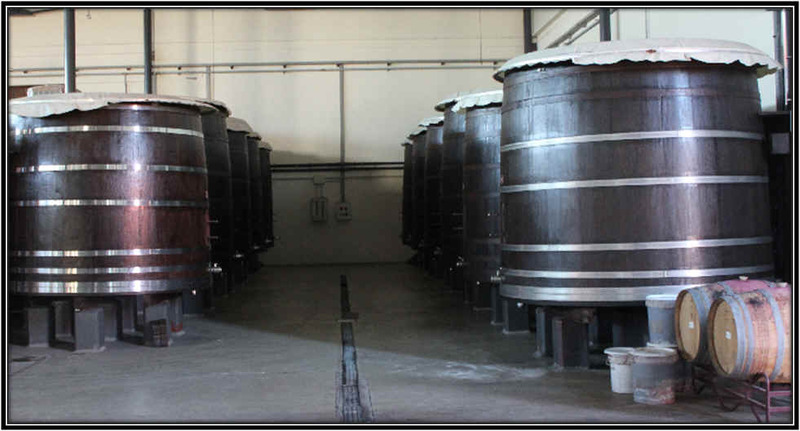 The fermentation tanks are rather standard and they have a nice cellar with small barrels. Almudena Imhoff shows off the Izadi wines as well as their other related bottlings from Rueda, Ribera del Duero and Toro. This old firm has what may be the largest single barrel-storage facility in Europe, housing some 35,000 barricas! And this is only a part of their production. 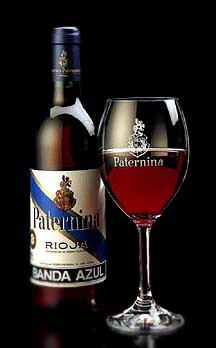 Paternina's wine was a favorite of Ernest Hemingway. The wines may have been more special in Hemingway's day, for we have tasted many bottles over the past few years and have found little to be of interest. I read that there have been some changes in the firm recently, the company having sold stock and raising a pile of cash in the process. They own a property in Ribera del Duero, along with a firm in Jerez. We recently tasted their entry level wines and found them to be standard quality.... I'll special order them for you if you like.